Over the past year we have been working with a dedicated partnership of funders and London Councils to explore the potential of business and community led ideas that help people make healthier food choices on our high streets. 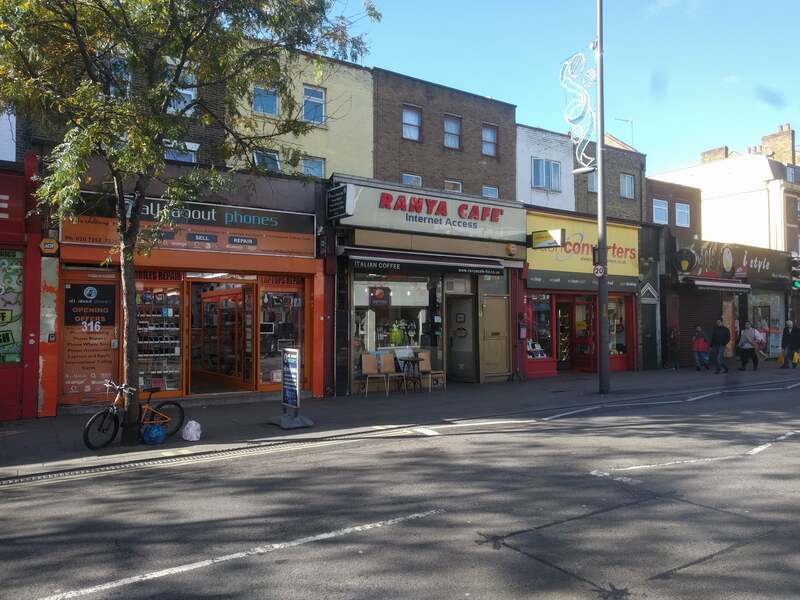 Healthy High Streets was a hyper local challenge prize seeking ideas from people who live by, use and run businesses on three London high streets. It has been funded by Healthy London Partnership, Guy’s and St Thomas’ Charity and Battersea Power Station Foundation, and delivered by Innovation Unit with the funding partners, Haringey, Lambeth and Southwark Councils and Hyde Foundation in Lambeth. Those wanting to engage businesses with finding ways to make it easier to make healthier food choices. Councils working to improve high street food environments. Those who are interested in using hyper local programmes to find and support new approaches to tackling public health challenges. 1. People don’t choose unhealthy; they choose tasty, filling and affordable. When we spoke with people on the high streets we heard that they wanted to see healthier food options available on the high street. While purchasing data might suggest people are choosing to eat unhealthily, when we talked with people we found they aren’t choosing unhealthy, they are choosing tasty, filling and affordable. Affordable for many people means no more than £2 for a meal. Especially in less affluent high streets there aren’t many affordable, tasty and filling healthy options available. This is one of the biggest challenges to enabling people to make healthier food choices on the high street. 2. Small food businesses often care about the community they are in. They are also under pressure to survive. The project worked with small food businesses to help tackle childhood obesity, but this was hard because of the financial and time pressures facing small business owners and managers. There was interest from several existing small food businesses in offering healthier options and being part of a broader effort to create healthier environments in our local communities, and a small number of these businesses are adapting their menus. Others are keen to do something but need advice and encouragement to make changes. 3. There are opportunities to work with residents and community groups too. We also found community, youth and resident groups with ideas for helping others make healthier choices. Their ideas are based on lived understanding of the needs, challenges and opportunities in a local area. These ideas also often cross the boundaries between the high street, home, school and other community settings. 4. Local relationships and connections matter. We were able to find and work with local businesses and residents most successfully when we were introduced by someone familiar, local and trusted. This was particularly true in Haringey where the Senior Environmental Health Practitioner had already built good relationships with many local businesses through her inspections and Healthy Catering Commitment work. In Southwark we were able to build on connections we already had with local organisations and in Lambeth the Hyde Foundation were able to make introductions for us. We worked with eight specific ideas across the three high streets. In Haringey we worked with the popular Tasters chicken shop to help them test the introduction of a healthier children’s menu. Across a four week trial 50% of choices from the children’s menus were from the healthier menu, and feedback from customers about the taste of the new options was positive. 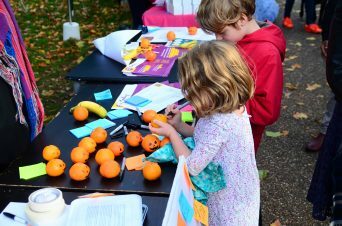 In Lambeth we worked with youth organisation Oasis Play to test how young people might actively influence changes in local food outlets. Involving young people in the development of new healthier menus increased their interest in healthy food. This has the potential to increase a food business’ confidence in introducing a menu and to increase the chance of sales if the right price point can be found. In Southwark we found several ideas from local people with a passion for helping children and families to eat healthily. We worked with Guy’s and St Thomas’ Charity to design an incubator approach to supporting them to further develop their ideas. 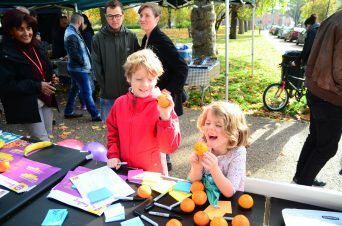 The ideas include cooking workshops for primary age children; healthy eating workshops for older young people (developed by a young person and trialled in partnership with the youth offending service); a Colombian street food business; a cooking club and recipe exchange; and affordable community meals prepared by parent volunteers. Two ideas have now been trialled and three are closer to being tested. Through being supported as a group, the people involved have collaborated on community events and workshops and offered each other informal advice and support. Watch our video on the project and read the final project report here.